Did you notice that? Did you notice the expenses seem to raise every single year? Not only life expenses but also business expenses. Graphics, website design, sales copy, product creation... you name it! You Can Absolutely Lose Your Arm & Leg Just On Graphic Designers! But it gets worse. Even though the prices seem to RAISE all the time, finding the "right" graphic design can be quite a challenge. 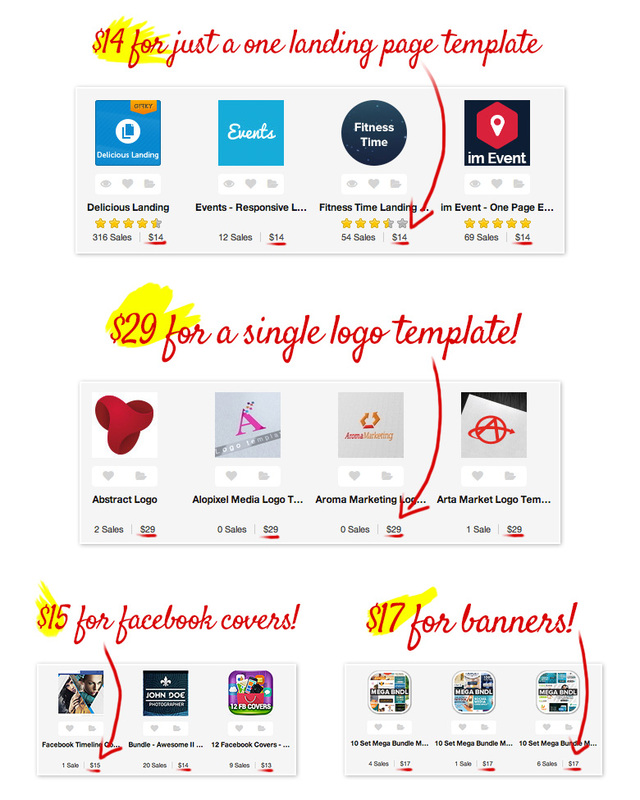 Smart marketers save a LOT of money by re-using done-for-you graphic templates so they don't have to empty their wallets on expensive graphic designers. And now you can do the SAME... for the FRACTION of the price that others charge! It's an ultimate collection of EVERY single graphic you'll ever need to boost your conversions, make your site truly IRRESISTIBLE and explode your sales! Hi! I'm Lucas Adamski. After over 5-year graphic design and internet marketing experience I decided to combine my REALLY best-quality, 5-star graphics that everyone absolutely rave about. I served over 2,300 paid customers that like you understood the time-saving & money-saving benefits of using high-quality graphic templates! Most of the graphics come from this year to assure 100% freshness and 100% uniqueness. That will help you to rapidly differentiate yourself from your boring-looking competitors! Designed In The Newest HTML5/CSS Standards - I made sure that all the templates are coded perfectly with all the newest standards in mind. Lots of research went into this to make sure your pages will load great every single time! Start Building A Cash-Spewing Email List! - As you may have heard: "the money is in the list". It's indeed the truth and I'm making hundreds of dollars every single day by sending simple emails. Turn 2D Ecover Templates Into 3D Graphics In Seconds! (No Photoshop Needed) - Now you'll be able to transform these beautiful templates into 3D graphics even if you don't have Photoshop. Instant Trust & Crediblity Booster - Become a highly regarded "Guru" in your market. Gain new recognition and respect. Easily customize these amazing templates to create your very own, unique cover template in literally minutes. 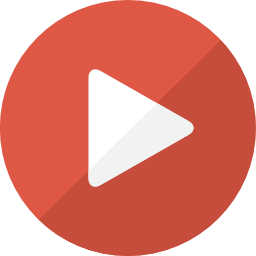 Just follow my simple video trainings even if you're not technical! Get Free Viral Traffic Overnight - Imagine being able to post 1 simple quote post and next day seeing thousands of super-targeted visitors coming to your site! That's the power of Pinterest & Facebook and now you can tap into this growing trend! Stay Safe with the Law - photography & graphics license violations are a big thing nowadays. Stay safe from risky lawsuits and expensive fines. Lower Your Advertising Costs by Increasing Click-Trough-Rate (CTR) - In many ad networks (like Google & Bing) the higher percentage of people click on your ad, the lower your advertising costs. That means with these hypnotic banner ads, you'll be able to crush your competitors and save a ton of money! Double Your Profits Instantly - Send your blog/website visitors to best-selling affiliate offers using attention-grabbing banners you just can't miss. Don't lose visitors anymore and fully monetize them each and every time. Rapidly Boost Your Sales & Conversions - These graphical headlines can do an absolute magic when it comes to your conversion rates. Just try them once and you'll love it. Lower Your Bounce Rate - Make your visitors stay on your page much longer. By using attractive, attention-grabbing headlines you'll increase the engagement and lower the exit rate so you can make more money with the same amount of visitors! Create credibility-boosting product logo templates for your new bestselling product. No more hiring graphic designers, Fiverr or other 'headache'. Now you can do it all yourself exactly as you want it! Use these "copy-and-paste" opt in boxes to capture more emails on your blog, sales page or a minisite to build a highly-profitable list in no time! Use proven to convert order boxes that it's impossible to miss! Increase your conversions and your sales. REASON 2 - Rapidly Boost Your Sales & Conversions! These done-for-you graphics are truly a Plug-and-Play solution. Many of the templates won't require any editing for you. No Photoshop! Simply copy the image file, put on your website, and you're done! It's that simple! REASON 5 - No More Hassles With Graphic Designers! There Are More Free Goodies! NOTE: Most of the graphics you'll be able to edit also using a free online graphic editor called Pixlr.com. For each graphic I created an additional "No Photoshop" version that you'll be able to use on Pixlr. Additional training is provided how to customize your graphics in Pixlr. Everything I Need Is There!" Lucas I didn't have a chance to do a video review I am really hurt for time but I wanted to tell everyone that I purchased this and it looks great! And to be honest, it's totally worth such a price. Think about outsourcing just 100 unique sales page graphics. For $10 a pop that's $1,000 right here! And to be honest, it's well worth such a price. The Price Can Increase At ANY Time! For a limited time I'm offering a special discount for this amazing graphic collection. THe price can increase at any time without futher notice so pay attention! So listen up: your total investment today will not be 47.00€, that would be the regular price. Yes, For just 17€ you can grab your hands on this miraculous goldmine of the most premium & trendy marketing graphics not available anywhere else! Just think about it for a second. You'll get a lifetime, unlimited access to 946 stellar-quality graphic templates for less then 0.018€ EACH! Here are the main reasons why I'm charging only 17€ for this premium package. 17€ is a price majority of people can afford. I'm able to capture a wider market. With getting more customers I'll be able to offer them more products & offers in the future and expand my business. I want to absolutely blow you away with AMAZING VALUE. I want you to remember my product for a long time so you come back to me for more! It's that simple. 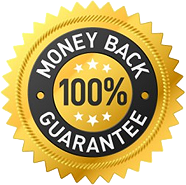 "Love It Or I Pay You $50"
Try Graphics Treasure Chest risk-free for 30 days and if for any reason you won't be absolutely thrilled with these jaw-dropping graphic templates, just send a support ticket to www.plr-erfolg/support and I'll refund you every penny. No questions asked, no hassle! I just bought, and I have to say I AM SO HAPPY! I mean, this is pure gold! I was not expecting so many choices of images and html templates, so well organized, and with PSD! "Great Stuff As Always Lucas!" Great stuff as always Lucas! Just what the doctor ordered, and perfect that some of these are "pre-made" so one doesn't have to fiddle with them. Complements the headline package I bought from you before perfectly! "Lucas Is Right Up At The Top!" I have actually used Lucas's services outside of the Warrior Forum and he is VERY good! I thought I would pick up these graphics as well - I am NOT disappointed! 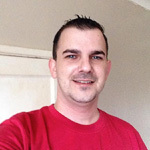 I have also used well over 50 different web designers and graphic artists and Lucas is right up there at the top! In short - for this price a BARGAIN! YES Andreas! I want to get 1,000+ premium marketing graphics to transform my sites into monster sales-getting machines now! Click "Buy Now" Button below to join now and get lifetime access to Graphics Treasure Chest for risk-free for just 17€. YES! 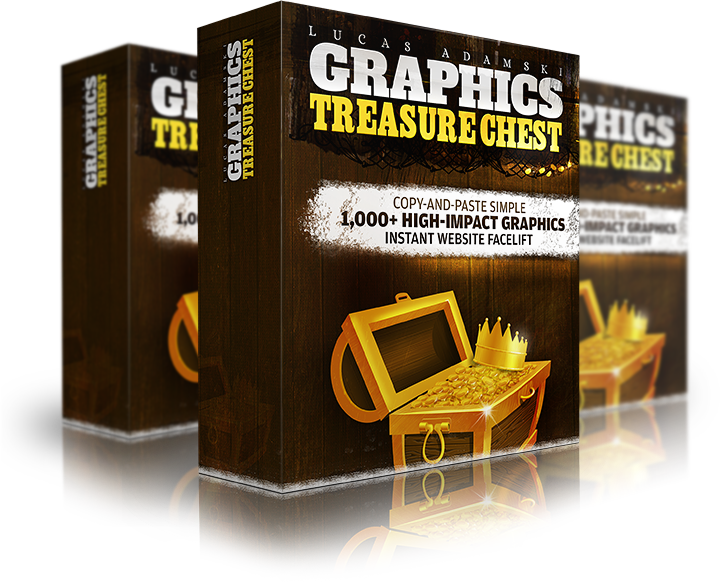 I Want To Try Graphics Treasure Chest! Most of the graphics do not require Photoshop. I created a separate files for No-Photoshop version which you can open using a free online graphic editor (Pixlr.com). Using this free tool you'll be able to customize your templates very quickly. But no worries, I recorded a super simple video training that explains how to edit those in literally seconds! Many graphics are also "copy-and-paste" templates that you can just copy and paste on your site and enjoy! Can These Graphics Be Used In Wordpress/OptimizePress/LeadPages? Do You Own A Full License To All The Graphics? Yes! I created all the graphics listed above and have the full rights to them. I only used public domain images and free resources that I have rights to include in this pack. Now For A 70% Special Discount! The graphics work on Mac and Windows. Also you can customize them freely on both platforms. YES, absolutely! Once you get your package you'll receive a video training were I'll show behind-my-shoulder how to edit the templates. Also I'm always here for help, just send me a ticket and I'll answer any issues in 24-48h. You will never be left alone. I'm here to help. No! No recurring payment, just a one-time investment. YES! All the graphics come with a developer's license. You can use all the graphics freely, customize them and implement for your client's work. PLUS, you'll receive full PLR rights for all the graphics you'll receive inside the Graphics Mystic Club that you can resell for a 100% profit. "Hands Down The Most Impressive Graphics Package I Have Seen Yet!" Recently, Lucas Adamski kindly gave me full review access to Graphics Treasure Chest and this is my honest review. Inside the VIP Club members area you are instantly blown away by the pure volume of graphics you get access to. Countless pages of premium quality graphics ready for instant download. But if that wasn't enough... You get 'How to Videos' for every module in the entire package explained step-by-step, even 'Tech Videos' for the more technical stuff. You get a 'Resource' page full of links showing how to get free graphics, images and more... A 'Tools' page full of online graphics editors allowing you to create Banners, Facebook page graphics, Video squeeze pages, E-covers and more! You also get a Font list to all the graphics with download links. But here's the cool thing... Even if you can't find a specific graphic you need in this massive library of premium graphics, (and I doubt it!) but Lucas also offers a request area that you can fill out for any graphic you might need. Hands down the most impressive graphics package I have seen yet! Incredible value at the low price it's being offered at. Lucas definitely over delivered on this one! "The Richest Ever With Everything I Need..."
I bought your Juicy WSO Graphics a few days ago. They are simply marvellous and easy to edit. This is the package I love, the richest ever with everything I need and a lot of exclusive bonuses. Thanks so much and keep always up your good work! "...A Stylish And Professional Edge"
I purchased Headers Explosion a few days ago and have already put great looking headers on 3 of my sites. There are so many nice header graphics to choose from in this package, highly recommended if you want to give your websites and blogs a stylish and professional edge. P.S. You absolutely don't want to delay! The price can raise at any time! The "Special Time-Limited Discount" can expire AT ANY TIME! Instead of paying 47.00€, you can get the full, ultimate package for only 17.00€. What a saving! P.P.P.S. Just imagine for a moment how much time & money you'll be able to save with this miraculous graphic package. No more hassles trying to find the right graphic designers, no more project delays... Finally, you'll be able to turn your boring-looking websites into stellar-quality, money-making masterpieces demanding respect from your competitors!